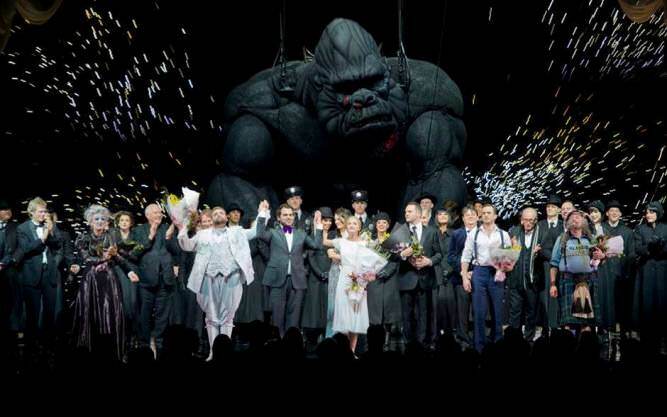 The big draw is the 20-foot-tall, 1.1-ton Kong puppet, built by designer Sonny Tilders, of steel, aluminum, lycra, and latex. 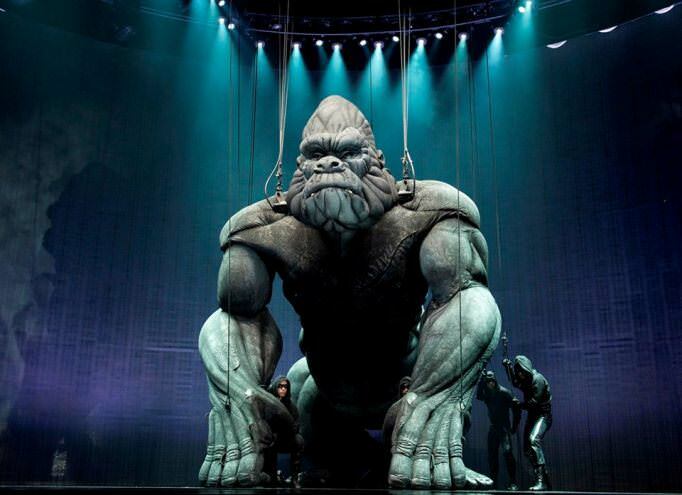 The giant creature is operated onstage by 10 circus artists, and with crew of puppeteers who are working off stage. 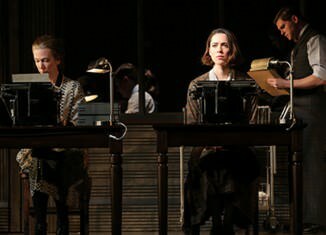 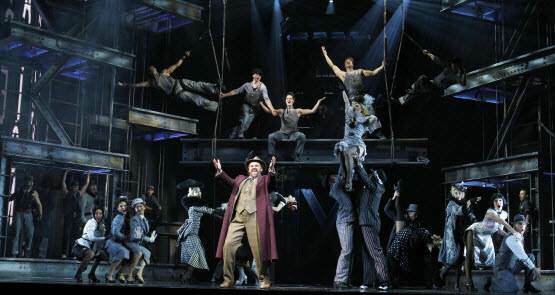 The Aussie production also includes a 50-member ensemble. 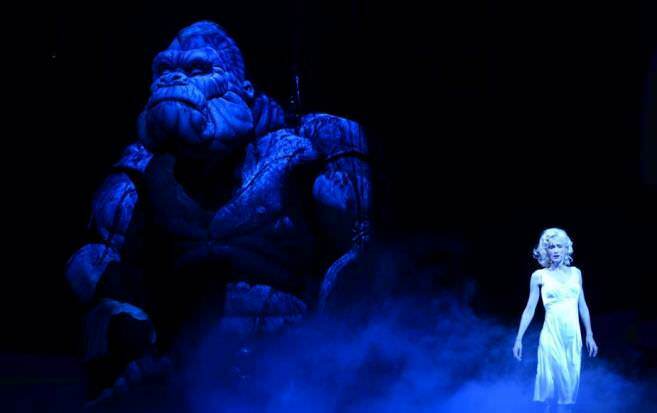 The show boasts music by Marius de Vries, lyrics by Michael Mitnick, and a book by Craig Lucas, songs by Sarah McLachlan, Justice, 3D, Guy Garvey, and The Avalanches and “Brother Can You Spare a Dime” and “Get Happy.” Despite Kong’s many adaptations over the years, but this musical is based on the original 1933 film’s story by Merian C. Cooper and Edgar Wallace.